Thanks nTwo. If memory serves UDT is underwater Demolition Team. I should have been able to reason that out. 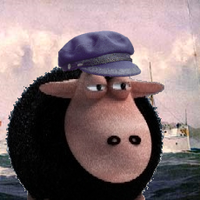 It seems my Black Sheep sporting a Breton (sailors cap, in many European countries) did not fare much better. LOL. Yep, Next weekend we are having some members of SEAL Team 8, to blow some stuff up in the backyard and some other special things that day ,but I don't want to say what they are yet. Since WakeIsland might be coming to the event.